In this brand new Range Rover we installed the very latest high end Stinger VIP XL speed camera detector and laser shield system, the units are quite simply the best defence against any speeding tickets and are the very best and most expensive detectors In the world! We integrate the Stinger systems very discreetly and the finished system is a pleasure to use. Take a look at our dedicated Stinger site for more information. 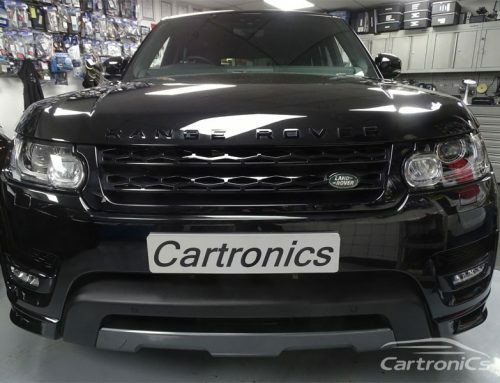 Cartronics are a Premier UK Stinger Specialist.